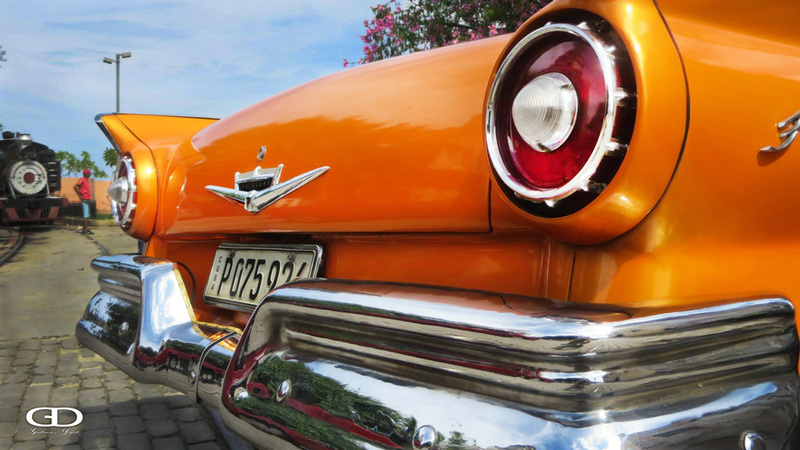 About 40% of the cars on the road in Cuba flaunt pre-1960 American metal, painted in every conceivable color. Many of these (Eg. Yellow 1956 Chevy Bel Air) are taxis. Taxi drivers make a very good living because they can take advantage of tourist dollars. 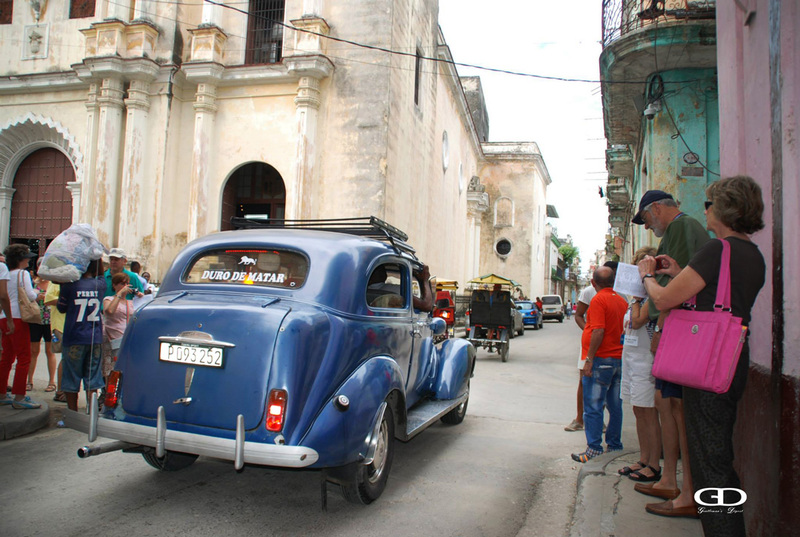 Taxi rides are similarly priced to the US, but the average Cuban salary is $22/month. As a result, despite free education through the PhD level, you are likely to find many different professionals driving taxis as their primary job or for supplemental income, including physicians. For example: our tour bus driver was a trained veterinarian. The cars here are in drastically varying shape in terms of originality: if you look closely, some could be show cars. Others, quite often, are cobbled together from hand-beaten replacement panels (incredible craftsmanship really) and/or Frankensteins made up of aftermarket parts from different generations/makes of cars. The key ingredient here is preservation. 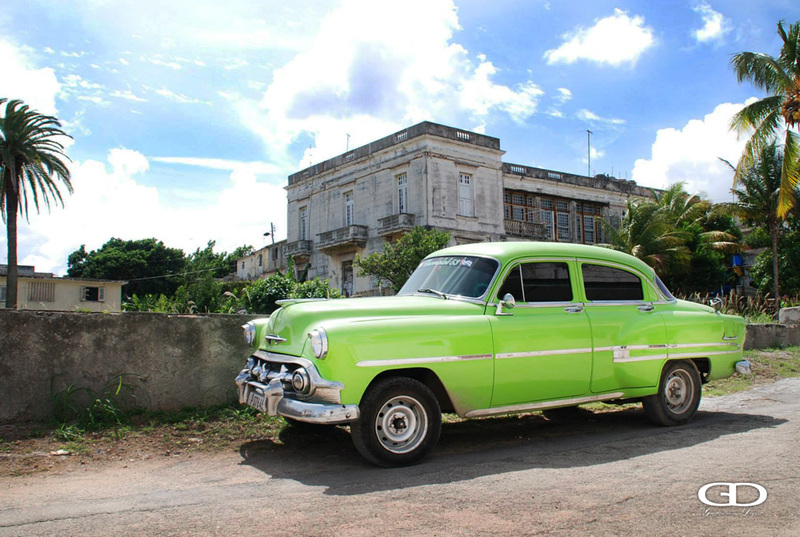 Unlike the insurance-backed break-and-replace system the United States has evolved to, where plastic is king, these old beauties in Cuba are held together with plenty of tender love and care to go around. It makes you think. Old American cars never really did much for me personally, but being in Cuba — and seeing these roll around en mass in a post-colonial city — really captured my imagination.